Heat wok with 2 tbsp. 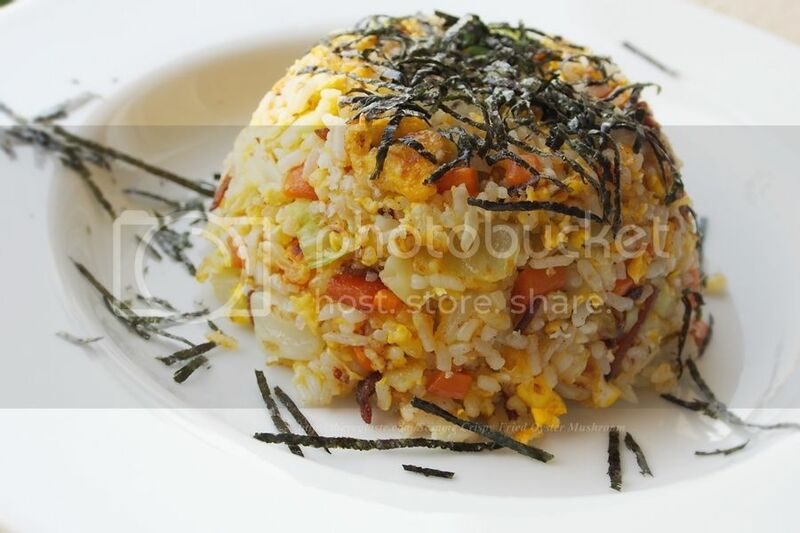 of cooking oil, add cooked rice and carrot cube. Stir fry for few second. Follow by cabbage. Continue stir fry for a minute. Make a well in the middle of the wok, crack the egg in. Let it set for few second. 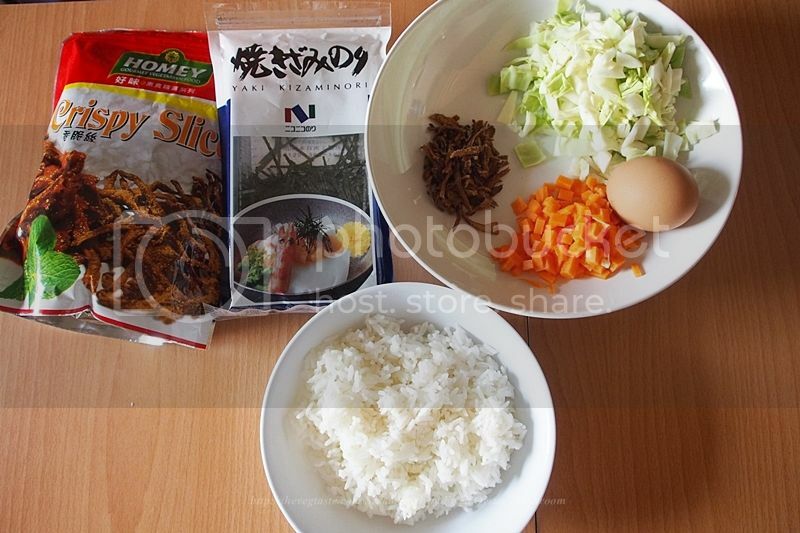 Then continue stir fry by spreading the rice over the wok, return to center and spread it again. Do this for few times. When the rice started “jumping” around. Then add the crispy mushroom slices, salt and white pepper powder to taste. Dish out. Top with roasted seaweed. Ready to serve.